Transition to Secondary School can be a worrying time for parents. It is essential we help prepare your child for the move to senior school, support parents through the process and we are very proud of our record. 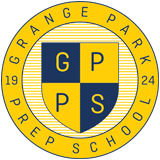 The choice of senior school is taken very seriously by GPPS, and teachers will meet with parents personally to discuss this important next step, considering all aspects of potential schools from academic achievement to size, location and culture; to help each child find the right school for them. Preparation of children begins by inclusion of Verbal Reasoning and Non-Verbal Reasoning into our curriculum, and by the use of various papers and assessment strategies as a monitoring tool for progress. Our curriculum takes account of the demands of the 11+ system we aim to keep children calm, to avoid cramming and monitor their arts and sports activities so that balance remains in their lives. From February in Year 4 through to February in Year 6 the children have the opportunity to attend additional exam preparation lessons after school. They have an hour of math and hour of English each week. From January in Year 5 though to Year 6 teachers incorporate exam papers from a range of schools in Maths and English which are analysed and areas of weakness are taught and/or revised. We have timetabled lessons within the school day to prepare children for Verbal Reasoning and Non-Verbal Reasoning. In year 4 parents have a Secondary transition information evening where we explain the admissions processes for both Independent and State schools. Year 5 parents are offered a separate parents evening where staff provide guidance on appropriate schools for each child. This communication continues with the school and parents throughout the whole process and even after offers have been made we meet with parents to discuss choices available. We have developed strong links with many of the secondary schools. Having visited the schools personally and seen them in action we are confident to advise our parents.